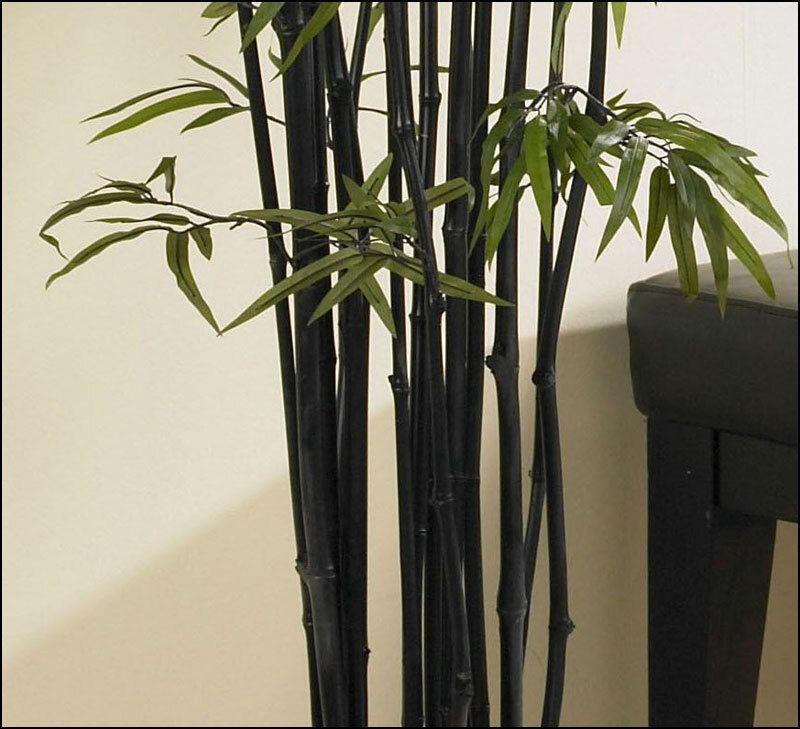 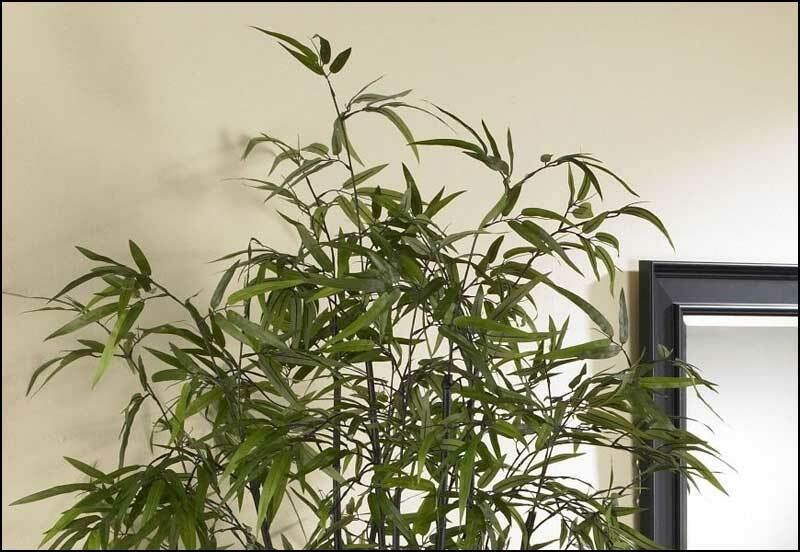 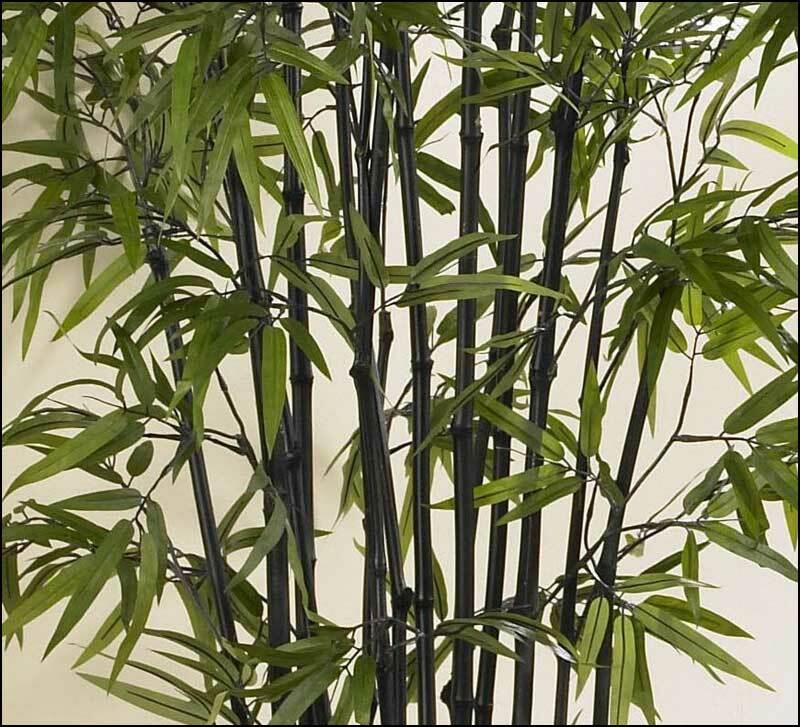 Add a touch of flair to your neutral home decor with this rare and exotic Black Bamboo Tree. 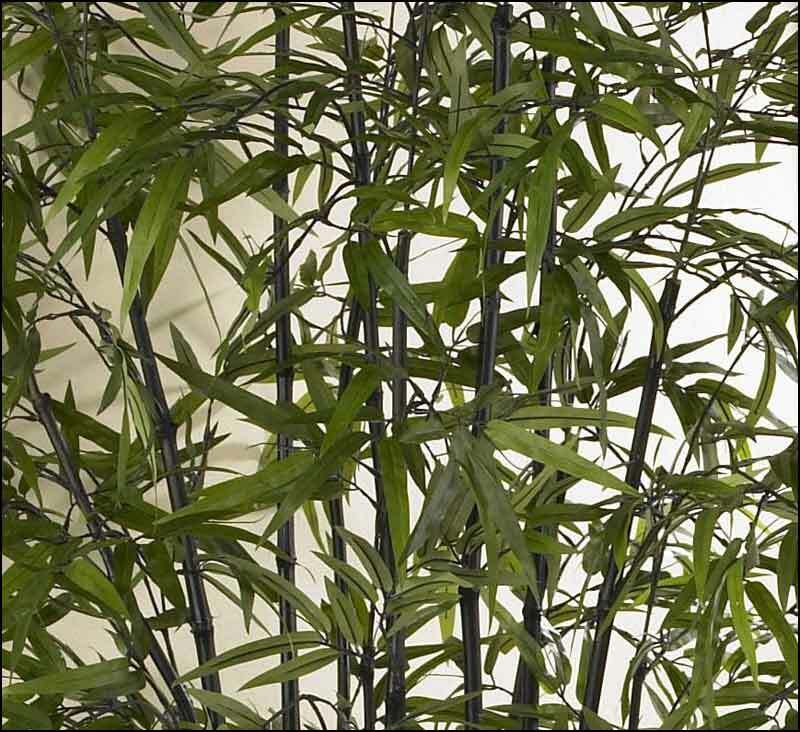 Well known for its hardiness, this elegant looking bamboo will thrive without any water, sunlight, or pruning. 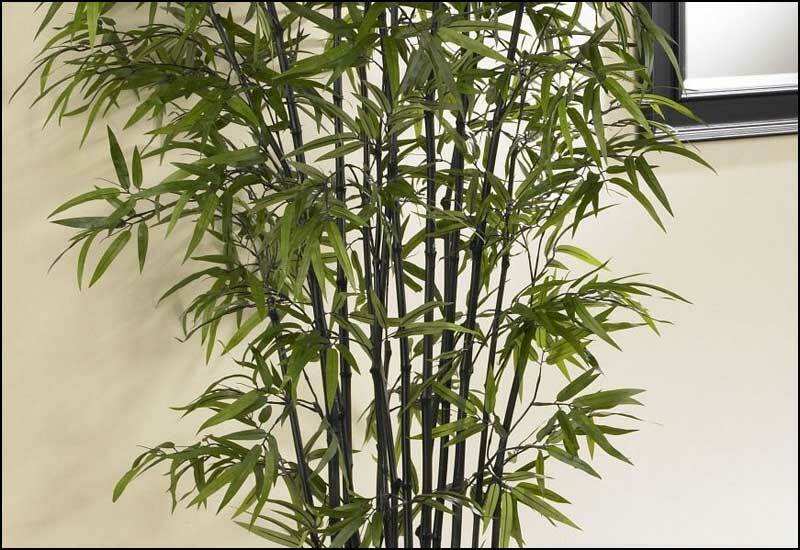 Bright slender crisp leaves are a nice contrast to the deep rich color of its trunk. 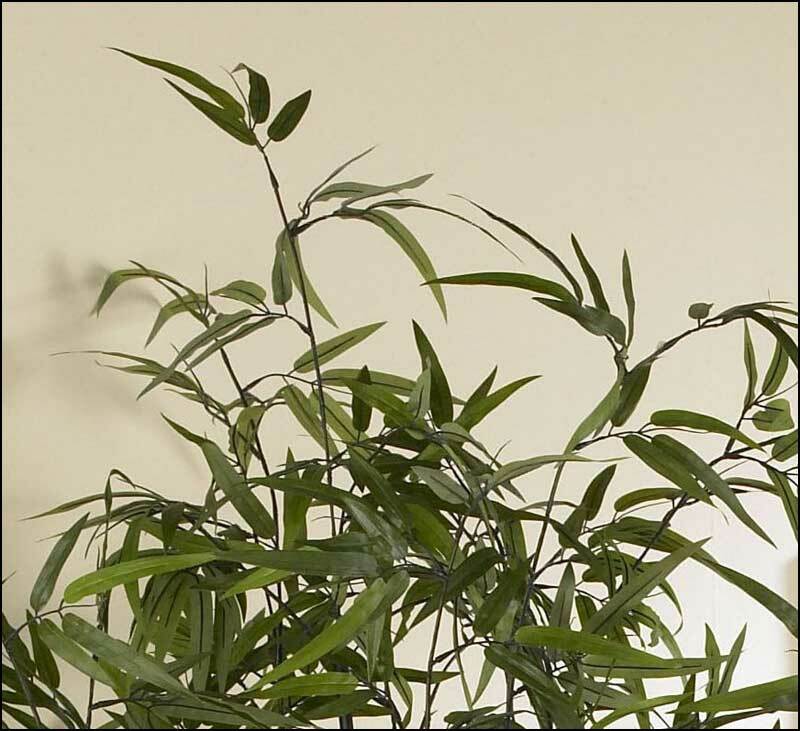 A full 6.5 feet tall, this unique tree contains over seventeen-hundred authentic styled leaves. 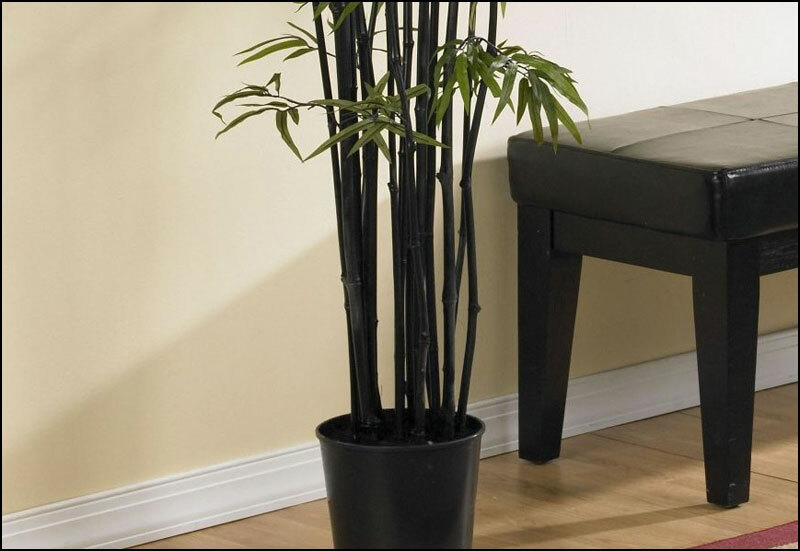 A basic black pot blends well with the dark colored trunk. 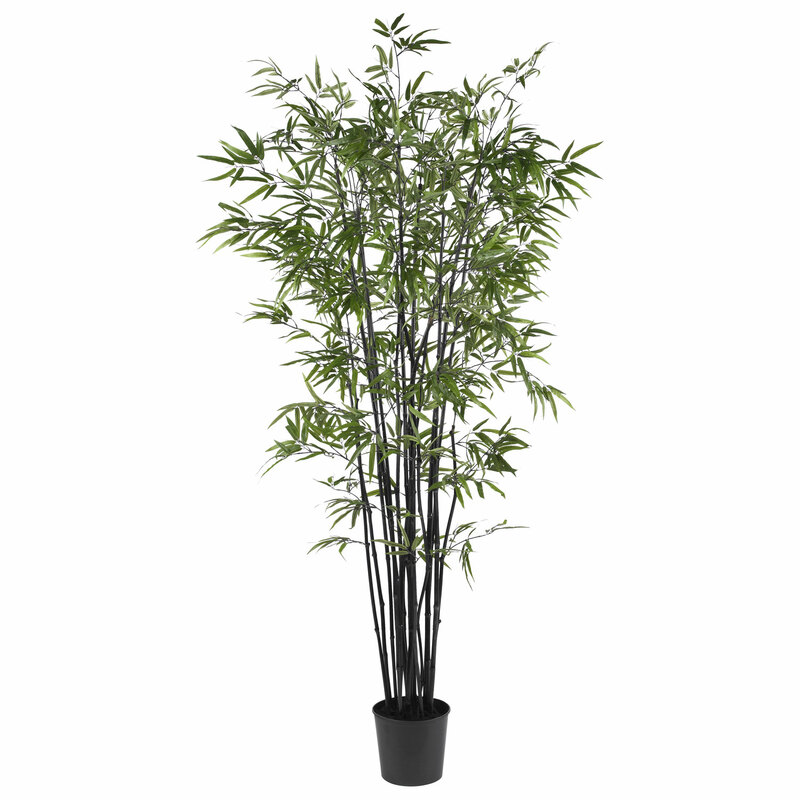 Height - 6.5', Width - 37"
Pot - W: 9", H: 8"